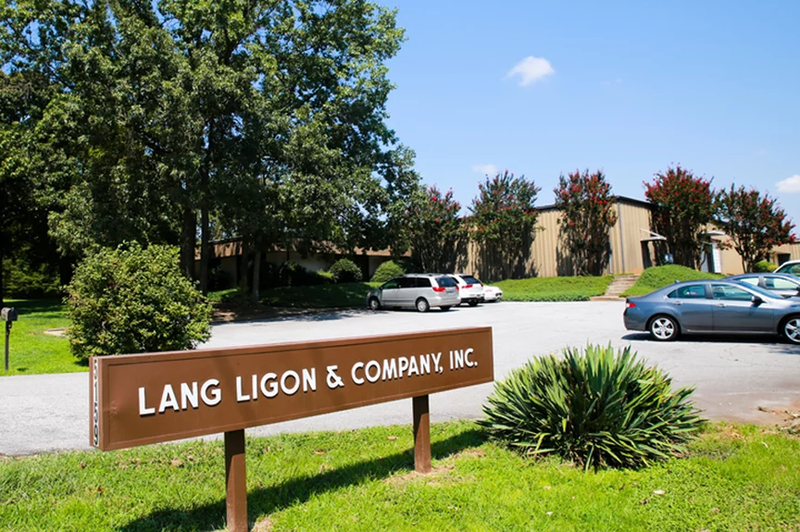 Lang Ligon & Co., Inc. supplies the textile industry with machinery and accessories for the weaving, knitting and finishing sectors. Located in Greenville, SC. the company was started in 1962 by Lang S. Ligon, Jr. to supply machinery, spare parts and service to the U.S. textile industry. In 1967, a cooperation was begun with Sarfati and Vischiani of Busto Arsizio, Italy as exclusive USA and Canadian agents for this premier producer of filling feeders for shuttleless weaving machines. Since that time, more than 400 mills purchased this line of feeders. In March, 1998 Sarfati and Vischiani and its sister Swiss company Tecnomatex were purchased by the IRO AB Group. Lang Ligon continues to support the feeders today with spare parts and repair service. In early 2000, Lang Ligon & Co., Inc. began a new cooperation with LGL Electronics of Gandino, Italy, suppliers of world-class filling feeders for rapier, projectile and jet weaving machines and circular, flat and hosiery knitting machines. The same staff and facilities that were employed for Savitec had been retained for the representation of LGL Electronics to serve both the USA and Canadian markets. In the mid-1980’s, Ergotron of Marano Ticino, Italy was added to compliment the filling feeder line to broaden our ability to enhance fabric quality and reduce maintenance costs in the weave room. This pioneer of electronic letoffs provides letoffs for new looms and through Lang Ligon & Co., Inc. offers the same letoff for existing looms as retrofit upgrades. Today Ergotron produces retrofit electronic letoffs, take-ups (on -loom and off-loom)and main drives for weaving machines. At their Greenville, SC. facilities, Lang Ligon & Co., Inc. designs and builds a complete line of weaving creels and feeder stands for rapier, projectile, and air/water jet machines. For over 30 years, creels have been produced that have provided not only durable designs but also custom designs for all applications. More recent additions to our lines of equipment include Comsat warping machinery, Terrot and Pilotelli circular knitting machines, Martex knitting creels, Panter weaving machines, PLM inspection/packaging and material handling systems and Titan warp preparation machinery. Lang Ligon & Co., Inc. also provides complete training, spare parts, repair and audit services for all equipment lines. In both sales and service, Lang Ligon & Co., Inc. strives to practice the Golden Rule as a valid business paradigm. This has helped gain and maintain their reputation as “A trusted name in textiles”.